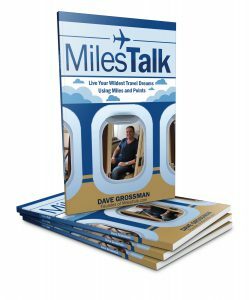 I’ve been asked this question so many times now that I knew I needed to write a post for MilesTalk University. We’ll save the Freedoms for another post. Trip Delay Coverage Yes, up to $500 after a 6 hour delay. Must have used card to purchase at least part of trip. Paying with Ultimate Rewards points counts. Yes, up to $500 after a 12 hour delay. Must have used card to purchase at least part of trip. Paying with Ultimate Rewards points counts. Lost / Delayed Luggage Coverage? Yes, up to $3,000. Other limits apply. Yes, up to $3,000. Other limits apply. It’s very important to note that you can (as of November 2018) combine your rewards from any Ultimate Rewards earning card. So if you have a Reserve, which allows redemptions in the UR portal at 1.5 cents per point, you can combine points earned on a Chase Freedom Unlimited or Chase Freedom into your Chase Sapphire Reserve account. Many people carry multiple cards for this reason. You simply put whatever purchase you are making on the card that will earn the most points and combine later. Even with the Chase Sapphire Preferred, you could transfer in points from a no-fee Freedom card in order to utilize transfer partners. Now, let’s get back to the topic at hand. You want the ability to transfer to Chase’s nice list of transfer partners such as United or Hyatt, so that rules out the Freedom cards as cards to start with. Do you choose the Chase Sapphire Reserve or the Chase Sapphire Preferred? The answer to that is, of course, based on your own needs. My goal is to give you the most efficient comparison so that you can make an informed decision. The most important thing to shed light on is the difference in annual fees. The Chase Sapphire Reserve has a “sticker” annual fee of $450, while the Chase Sapphire Preferred has a $95 annual fee (often waived in year 1). If you spend $300 a year on travel – which Chase loosely defines as all airline, hotel, parking, Uber/Lyft, and taxi purchases – then your $450 annual fee on the Reserve is reduced down to $150. This is because these travel credits are automatic. Spend them within a cardmember year and you will see them instantly refunded to you until the credit is used up. I personally use mine up within a month each year. To make that even simpler: If you spend $300 in travel purchases per year, your net effective annual fee is $150 on the Chase Sapphire Reserve vs $95 on a Chase Sapphire Preferred. This is a $55 difference. However, it is a $150 difference in year 1 with the annual fee waived, so for some people it may make sense to get a Preferred off the bat and convert up to a Reserve in year 2. Decision tree: If you DO NOT spend $300 a year on Travel, you most likely should get the Chase Sapphire Preferred for now. If you do, continue…. 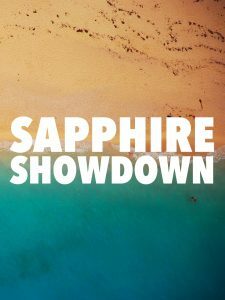 I can’t stress enough that if you want a Sapphire card (because you want to be able to transfer points to airline or hotel partners), you need one or the other. So once we know you are getting either a Chase Sapphire Reserve or Chase Sapphire Preferred card, the decision comes down to the $55 difference in annual fee. How do we calculate if you’ll get the extra $55 ($150 in year 1) in value? There are many ways in which you come out ahead by paying the extra $55 fee. And it’s a sum total of all of the above that determines it. Let’s say you spend $200 a month in travel and dining. That extra $2,400 a year will earn you 2,400 extra points on the Reserve – worth $36. Let’s say you redeem points through the portal for a plane ticket that costs $400. That will cost 26,666 points with Reserve or 32,000 points with the Chase Sapphire Preferred. At a bare minimum per point value of 1.25, those 5,334 saved points are worth $66. Visits to a lounge without a free Priority Pass membership can cost $25-$50 a visit per person. Just a couple of lounge visits in a year covers that $55 – if you care about airline lounges. As you can see, if you travel even a reasonable amount, the Chase Sapphire Reserve quickly becomes the better value, despite a higher “sticker price” on the annual fee. However, if you will not use the travel credit, nor the benefits I discuss above, then the Chase Sapphire Preferred should suit you just fine. As an aside, if you don’t even plan to utilize the airline and hotel transfer partners, your best bet may actually be a card that earns 2% cash back, though if you are willing to put in just a little effort you should be able to get better value with a Chase Sapphire Reserve or Chase Sapphire Preferred. Want to take a look at current signup bonuses or compare various card benefits? I keep links to all of this on the Travel Rewards Credit Cards page. Have any questions or comments? Let me know here, on Twitter, or in the private MilesTalk Facebook group. The Sapphire Reserve is best for me, I signed up for the card on the very last day of the in Chase branch 100,000 point offer, but not without some drama. Since this was the last sign up day the web site crashed, but Chase gave me a special code to use and apply on line within a few days. I received by 100,000 points in the second billing cycle after I met the minimum spend requirement. As I live and work in the Middle East most of the year I use this card for nearly all of my spending here, but my favorite kicker about this card is the no foreign transaction fees. Just last month in a nine day “mini” vacation I flew on five different airlines and visited seven airport lounges collecting airline miles and points along the way. Though Chase is devaluation some benefits this card is still the card of choice in my wallet.